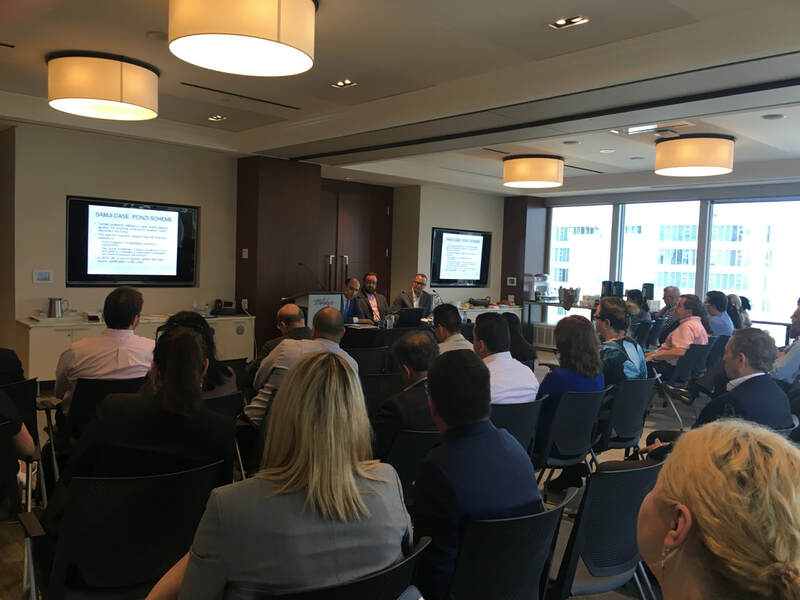 This seminar covered both the Retail and Institutional capital markets areas, including Outside Business Activities, Personal Financial Dealings and Referral Arrangements. 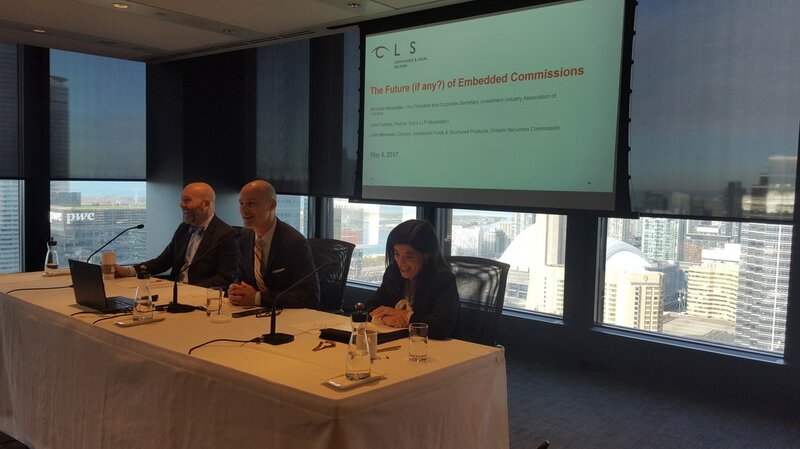 John Mountain and Michelle Alexander will have an interactive session (moderated by John Fabello) in which they will explore the past, present and possible future of embedded commissions, including the status and implications of CSA Consultation Paper 81-408: Consultation on the Option of Discontinuing Embedded Commissions (January 10, 2017). This promises to be a lively and dynamic session covering regulator and industry perspectives on this current and evolving issue and its practical impact for dealers and compliance professionals. A discussion on fixed income reporting that will focus on the types of alerts reviewed by IIROC, issues that have been encountered and the expectations placed upon Phase 1 and Phase 2 dealers. Additionally, the seminar will discuss how reporting dealers have been treating the issues and how the change has affected pricing and liquidity of fixed income products. Sylvain Racine, Chief Compliance and Risk Officer, Mirabaud Canada Inc. This is the sentence our regulator never wants to hear, likely because it’s incorrect. Vulnerabilities with securities markets participants everywhere are often exploited for money laundering gains. Our panel, of specialized money laundering experts will walk participants through real life securities based money laundering situations. They will highlight the vulnerabilities exploited by money launderers, the red flags exhibited through their schemes, and how your firm can change your policies, processes, systems and provide training to help detect and prevent money laundering. Vladimir Shatiryan, Associate, Blake, Cassels & Graydon LLP. A presentation on CIPF and CDIC. 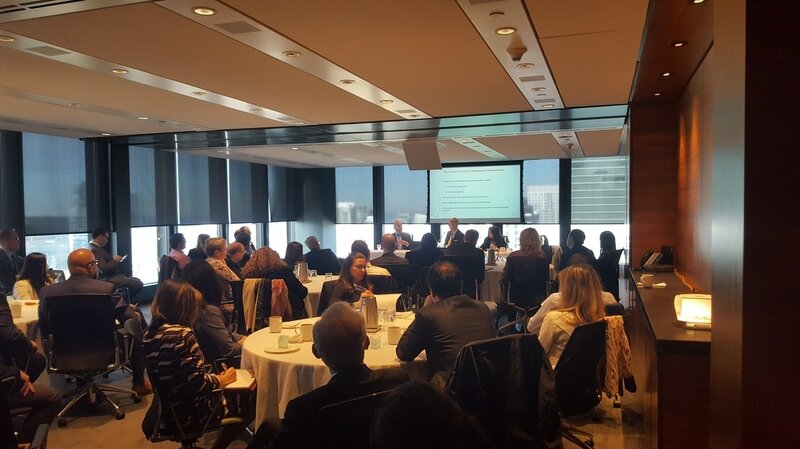 Our panelists focused on the type of coverage offered, review disclosure requirements and provided examples of times they were called upon to protect clients.